Janet hosts an intimate gathering of friends in her London home to celebrate her high profile political appointment. After her acerbic best friend and others arrive, some with dramatic news to share, an announcement by Janet&apos;s husband provokes a series of revelations. As the sophisticated soiree starts to unravel, a night that began with champagne soon ends up with arguments, shouting and fights. 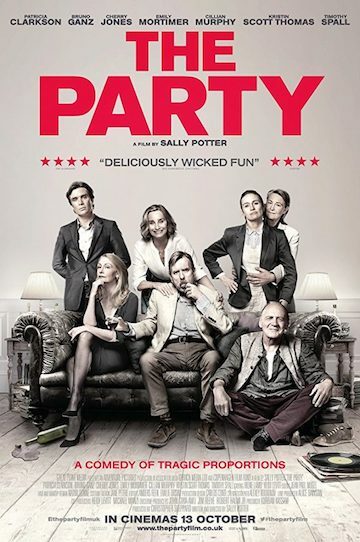 Starring Kristin Scott-Thomas Patricia Clarkson and Cillian Murphy. Brilliant.